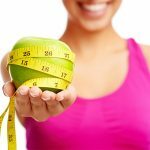 Home › Weight loss › The Special K Diet Plan for weight loss: real reviews with before and after results. Everyone faces with the weight-loss dilemma at some point in their lives. 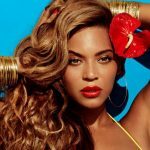 Whether you just want to look good or you want to do it for health, you embark on this mission of shaking off the unwanted pounds. You start working out a little; and, of course, researching existing special diet types. 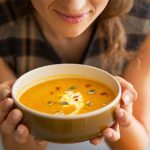 You might bump into the detox soup diet and think that it is too harsh for you. You might even explore the sample 1500 calorie diet, then decide you want something less hectic. If you do not have a problem following a high-fat diet, then you might pick the ketogenic diet plan. Some might try to put it together themselves, search for wheat belly diet recipes and try to follow them. The truth is that you have to know which diet works the best for you and your lifestyle. It is very important to find something that you can adapt. 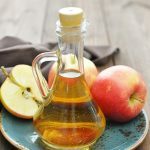 For example, you cannot pick the apple cider vinegar detox diet if you hate vinegar and can’t stand its smell. Also, it will be a bad idea to have the green tea detox diet if you have very high blood pressure, as it is high in caffeine. Some might even defy the definition of diets and pick the contrave diet pill. 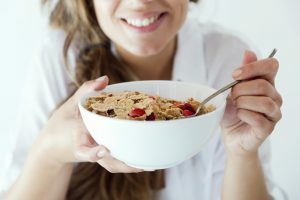 This system is a type of diet that was proposed by the Kellogg’s company, featuring one of its brands, called “Special K.” This brand offers cereals and breakfast bars as well as additional snacks and shakes. Its cereals are supposed to be healthy and can promote weight loss. They are made of toasted rice and wheat, as well as barley. This brand claims to support women by empowering their health and helping them reach their weight goals. Frozen products like flatbread breakfast sandwiches and breakfast quiches. 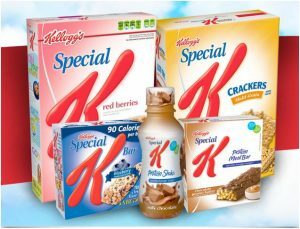 Special K proteins like the protein cereal, protein bars, protein shakes, and protein granola. Treats like pastry crisps and brownies as well as fudge-dipped pretzels. Each of these products has a variety of different flavors; so, whatever your food preferences are, you will find what will satisfy your taste buds, enjoy it and end up losing weight and being healthy. Now, this same brand is a well-known one with its own established diet system. According to the company, you do not need to go to a dietitian to lose weight. Instead, you need to follow the rules of the Special K healthy diet and pounds will start disappearing. 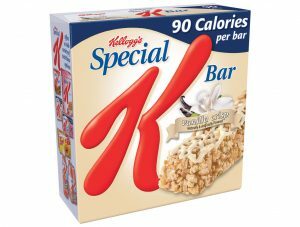 What is the basis of the Special K diet? So, what is all the fuss about the Special K diet and how does it work? The answer is straightforward. The Kellogg’s company has hired nutritionists and many professionals to put together a system that can work for you. The diet spreads over two weeks and consists of replacing two main meals, every day, with a particular Special K cereal. You can keep your main dinner according to your preferences, as well as the snacks. – Dinner: A balanced, low-fat meal of your choice comprising options from 4 different groups including a carbohydrate, a fat, a protein and a dairy. The Kellogg’s company claims that by following this system, you can lose up to six pounds in 14 days. Of course, you are advised to drink a lot of water and tea, and exercise to get the desired results. One has to pay attention; if you pick a substantial meal for dinner, like a fried kind of protein, you will not lose weight as you want. You might not lose weight after all. 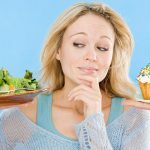 The secret of this diet is that you have to follow it the right way to benefit from the results. – Rice and wheat. These are the main two ingredients in the Special K brand. Every cup of this cereal contains 22g of carbs. That’s what the body uses to produce energy. For those suffering from Celiac disease, this diet is not for them, and they might end up having a severe allergic reaction. – Sweeteners and flavoring. This product contains sugar and high fructose sugar. These will add about 4g of sugar per cup of the cereal. – Dairy and proteins. The Special K cereals contain dried whey and calcium casein. These will add 0.5 g of fat and 7g of proteins for every cup eaten. – Vitamins. This tasty meal replacement contains many vitamins like B12, B6, B2, and B1. It also has Vitamin C.
– Minerals. Iron is the primary mineral found in Special K. It also contains Sodium that accounts for about 223 mg per cup. This amount can be problematic for those suffering from high blood pressure. 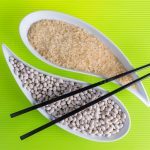 While there is a significant fuss about this kind of diet, the question remains: “Does the Special K diet work?” Well, logically speaking, yes, it should. When you are eating a low-fat diet, exercising and drinking enough water, you have to lose some weight. 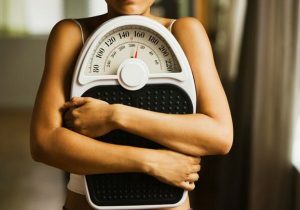 Losing weight is not very complicated, but people tend to make it as difficult as solving a puzzle. What you get in from calories and what you consume by your metabolic rate at rest and your lifestyle are what matters when you want to lose weight. If you eat more than you burn, you will gain weight. And if you eat as much as you consume, you will remain the same weight. Finally, if you burn more than you eat, you will lose weight. A study done by the Purdue University in 2002 studied the possible results of the Special K diet. The findings were that when you follow a system like a diet proposed by the Kellogg’s company, you will lose weight and decrease your body fat composition. The only concern is that if you were used to eating significant portions, you would feel hungry. The Special K diet is low in fibers and proteins and high in carbohydrates. If you have diabetes, this system is not the right choice for you. Studies, companies, and professionals all over the world have been studying the different ways of losing weight. Their common finding is that when you eat healthy, exercise and drink plenty of water, your body and its organs become well. The magic secret of a good weight loss program is never to have to detach yourself from a long-standing lifestyle. Otherwise, you will end up giving up on a diet and going back to your old habits. Also, make sure you are always getting positive reinforcements from the people around you. This positivity will help you keep going no matter how difficult your journey may seem. Be patient and realistic. Do not set unrealistic goals that can never be achieved. Losing 10 lbs. in one week is unlikely to happen in a healthy fashion. Also, working out for 4 hours per day while you are a full-time employee can be very hectic and drain your energy, thoughts and positive feelings. Whatever plan you pick, make sure you are convinced of it and are willing to follow it. After all, nobody can encourage you to accomplish something if you are not entirely confident in doing it. The 800 Calorie Weight Loss Diet: Plan, Menu, Calculator, Recipes, and Results. Beans & Rice Diet for Weight Loss: Recipes, Benefits and Results. Adele’s Adkins Weight Loss: Diet, Pills as well as Before and After Pictures. 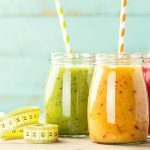 Day fix challenge diet plan for weight loss: menu, food list, real results!